If you've just moved to New Mexico or you're getting your license for the first time, you'll need to apply for your NM driver's license so you can start driving right away. Luckily, the New Mexico Motor Vehicle Division (MVD) makes getting your license easy. Th New Mexico MVD has begun issuing federally-compliant REAL ID driver’s licenses in place of standard driver’s licenses. Your required documents are still the same. NOTE: This page is directed toward drivers over 18 years old. If you are a teen driver or are looking for requirements to upgrade a provisional license to a full license, please visit our page on applying for a teen license in NM. If you've just moved to New Mexico, you're required to surrender your current out-of-state license right away and apply for a NM driver's license. If it's been expired longer, the written test is required. If it's been expired 5 years or longer, BOTH the written and road tests are required. You cannot get a NM driver's license if your driving privileges have been suspended, revoked, or denied in any state. You must first resolve the issue to transfer or apply for a new license. To transfer your out-of-state license, visit your local MVD office and present the documents outlined in Applying for a NM Driver's License below. Note that an additional fee for a record check applies to new residents. Once you successfully transfer your out-of-state license, you'll receive a temporary license along with your previous license, hole-punched, to together as proof of ID. You must present them together for your identification to be valid. In order to apply for a license in New Mexico, you must not have any suspensions, revocations, or denials of your driving privileges from ANY state. If you are between 18 to 24 years old and are applying for your first NM driver's license, the NM MVD requires that you take the “None for the Road" DWI prevention class. This course is a self-study course administered by the University of New Mexico Continuing Education Center. Information and an application are available online at the state's None for the Road website, or, in and around Albuquerque, you can call (505) 277-0051 or statewide (877) 663-7465. As long as you have not been convicted of a DWI (see below), there are no extra requirements for drivers 25 years old and older when applying for a new driver's license in New Mexico. Simply follow the steps outlined below in “Applying for a NM Driver's License." Complete the “None for the Road" DWI prevention course (see above for more information on the course). Show proof of completion from an approved DWI education course. If you've never been licensed before in any state, you'll want to get an learner's permit first so you can practice driving while supervised before you take your road test. To learn more, please visit our page on driver's permits in NM. The New Mexico MVD has begun issuing federally-compliant REAL ID driver's licenses. 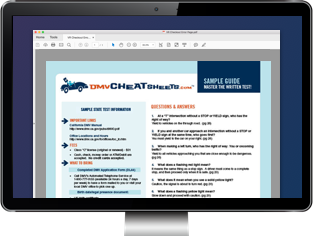 For more information, see the MVD's guide to REAL IDs. In order to apply for a first-time New Mexico REAL ID driver's license, you need to visit your local MVD office. The New Mexico MVD suggests making an appointment, and this could help shorten your wait time. Visit the Online Appointment Scheduler or call (888) 683-4636 for details. 1 document of identification number/Social Security number. 1 document proving your identity. If your name is different from the one on your birth certificate, you will need legal documentation for the change (e.g. marriage certificate, court documents, etc.). The MVD provides full lists of acceptable proofs of identity, Social Security number, and residency. Do NOT bring highlighted documents—the MVD will reject them. NOTE: You may only use one residency document from each listed category. Show proof that you've met the DWI course requirements if between 18 to 24 years old, or if you are over 25 years old and have been convicted of a DWI. Take and pass the written permit test. You must make an appointment for the road test. New residents pay an additional one-time $15 fee for a DWI records check. Once you've met the above requirements, the New Mexico Motor Vehicle Division (MVD) will issue you a temporary license. Your permanent driver's license will arrive in the mail. *All documents in a foreign language must be completely translated to English and be certified as fully translated by the translator. Submit the original documents with the translated versions. **Drivers 79 years old and older must renew their license every year; however, no renewal fees apply. If you are a member of the U.S. military, you do not need a new NM driver's license to drive in the state unless you become a resident. However, you do need to carry a license from the state in which you are licensed. If at any point you become a New Mexico resident, you'll need to apply for a license. See above for more information on applying. If you are a non-citizen who cannot provide proof of lawful status, you can only to apply for a driving authorization card. You must apply in person by appointment. You can schedule an appointment using the Online Appointment Scheduler. 2 document proving your of identification number and identity. 2 documents of New Mexico residency. You will be required to provide fingerprints if you do not have a valid New Mexico driver’s license. Original documents, that are not in English must have a written translation of each document in English. The translation must be done by a certified translator. DO NOT bring highlighted documents—the MVD will reject them. All other license requirements are the same. Please see “Apply for a New Mexico Driver's License" above. NOTE: If you are moving to New Mexico from outside the country, you cannot transfer your license. You must apply for a new one and take all the written exams and driving tests. (See “Apply for a NM Driver's License" above). Class E licenses allow drivers to operate vehicles exempt from CDL requirements such as recreational vehicles, farm vehicles, firefighting trucks, and military vehicles. Covers NM's GDL process, including Driver's Ed requirements, provisional licenses, and the requirements to upgrade to a full license. Our NM Motorcycle Licensing page covers the steps on applying for a Class M license. Find out how to get your NM Class A, B, and C commercial driver license (CDL).